Q.1. What is the purpose of issuance of Residence/domicile certificate to the students belonging to SC/ST and other than SC/ST while they are studying in Class V/VIII? Answer: The residence/domicile certificate is to be issued by the concerned authority of State Government/Union Territory to certify that the person bearing the certificate is a domicile/resident of State/Union Territory to whom the certificate being issued. Such certificate is issued as proof of residence to avail domicile/resident quota in educational institutions and in the State/Central Government services and also in the case of jobs where preference to local candidates is available as per Government of India instructions issued from time to time. Q.2. Who will be eligible to be issued the Residence/Domicile as well as Caste/Tribe certificates ? Answer: SC/ST students will be eligible to be issued the Domicil certificate and also Caste/Tribe Certificate, as the case may be. Other students will be eligible to be issued only the Residence/Domicile certificate. Q.3. What is the objective behind issuance of residence/ domicile certificates and caste/Tribe certificates at School level? Answer: In order to avoid difficulties faced by the SC/ST students, it has been proposed that “Caste or Tribe Certificate” and also the Domicile certificate may be issued to SC/ST students and only a Residence Certificate may be issued to other than SC/ST students all over the country, while studying in Class V or Class VIII, as an annual exercise. The State Government can choose either Class V or Class VIII to issue this certificate. Once Class V or VIII is chosen, the endeavour should be to issue it to all the students studying in that particular class. Q.4. Who will assist the students in getting the necessary documents/papers filled as an annual exercise for issue of Residence and also Caste/Tribe certificate? Answer: The Head Master/Principal of the School in which the students are studying would get the necessary documents/papers filled up from the students studying in Class V/VIII as an annual exercise for issue of Resident and also Caste/Tribe Certificate. The School Head Master/Principal will get the documents collected from all the SC and ST students and also other than SC/ST students and arrange to submit them to the relevant State Government authority/revenue authorities for making the requisite certificate. Q.5. What would be the proposed time frame set up for completing the exercise for issuance of residence/domicile certificates and caste/tribe certificates to the students studying in VNIII classes? Answer: A window of two months in September/October or any other time frame decided by the concerned State Government/Union Territory may be allocated /decided for completing this exercise. Q.6. 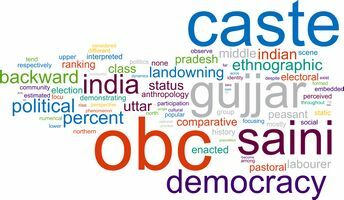 What is the objective behind the issuance of caste certificates to Scheduled Castes and Scheduled Tribes? Answer: The main objective of issuance of caste/tribe certificate is to facilitate access of bona-fide candidates belonging to the Scheduled Castes and Scheduled Tribes to the reserved posts and services under the State/Central Government and secure admission in educational institutions and other facilities being provided by the State/Central Government to them. Q.7. How much time would be taken by the State authorities for issuance of such certificates? Answer: The concerned Revenue/State Government authorities would scrutinize/verify the documents and issue the relevant certificates preferably within a period of 30 — 60 days. Q.8. Who would be the custodian of such certificates? Answer: Once the certificate is made, it may be given to the students in cellophane cover, as far as practicable, though the School authorities and would be kept with the students for safe custody for availing the benefits/concessions and facilities available to the concerned category of students. It can also be uploaded on E-locker facilities, wherever such facilities are available in the States. Q.9. How can the authenticity of data be verified ? Answer: The State Government may also try to get the information of students fed into the Meta Data to be made online and may link it to Aaadhar enabled data, if feasible. Sincere efforts be made to issue these certificates alongwith Aaadhar Number. Q.10. What remedy is available to the students if their application for issuance of residence/domicile and caste/tribe certificate is rejected? Answer: If the application of any student is rejected for issuance of the relevant certificate, the reasons will be provided and provision for one time appeal may be allowed by the State authorities. The procedure for appeal would be decided by the concerned State Government authorities. Q.11. Who will be responsible where acceptance for SC/ST domicile certificate is mandatorily done through Citizen Services Centres? Answer: In states where acceptance for SC/ST domicile certificate is mandatorily done only through Citizen Service Centres, it will be the responsibility of the Headmaster of the School for collection of the documents and ensuring that the application is digitally sent to the concerned authorities from the nearest Citizen Service Centres. If there is already a time limit prescribed by the State authorities through executive order or regulation for issuing such certificates, then such time frame may be adhered to. Q.12.What is the existing procedure for issuing of Scheduled Caste/Scheduled Tribe certificates? Who is the competent authority to issue the same? (1) District Magistrate / Additional District Magistrate/Collector/ Deputy Commissioner/Additional Deputy Commissioner/Deputy Collector/Ist Class stipendiary Magistrate/Sub Divisional Magistrate/Taluka Magistrate/Executive Magistrate/Extra Assistant Commissioner. (2) Chief Presidency Magistrate/Additional Chief Presidency Magistrate/Presidency Magistrate. (4) Sub-Divisional Officer of the area where the candidate and /or his family normally resides. Instructions have been issued recently vide 0.M.No.36011/1/2012- Estt.(Res.) dated 8th October 2015 providing that where a candidate belonging to a Scheduled Caste, Scheduled Tribe and Other Backward Classes is unable to produce a certificate from any of the prescribed authorities, he/she may be appointed provisionally on the basis of whatever prima-facie proof he/she is able to produce in support of his/her claim subject to his/her furnishing the prescribed certificate within a reasonable time and if there is genuine difficulty in his/her obtaining a certificate, the appointing authority should itself verify his/her claim through the District Magistrate concerned. Q.13. What are the points/facts/factors taken into account by the competent authority while issuing residence/ domicile and caste/Tribe certificates? that State etc. (The term ‘ordinarily resides’ has the same meaning as in section 20 of the Representation of Peoples Act 1950). Q.14. What is the procedure adopted for verification of antecedents and claims of the applicants before issue of such certificates and how the place of permanent abode of the applicant is ascertained? Answer: States/UTs have their own procedure for verification of antecedents and claims of the applicants to belong to a Scheduled Caste/Scheduled Tribe including ascertainment of the permanent residence of the candidates. Q.15.What are the guidelines that have been issued to the appointing authorities in regard to scrutiny and verification of caste certificates of candidates at the time of their entry into Government service? Answer: The Government of India has issued instructions regarding scrutiny and verification of the caste certificates of the candidates at the time of initial appointment and promotion against reserved vacancies. This Department re-iterated the instructions vide O.M. No.36011/3/2005-Estt. (Res.) dated 9th September 2005. These guidelines would ensure that the benefit of reservation goes to genuine Scheduled Caste/Scheduled Tribe candidates only and reserved vacancies are not occupied by unscrupulous non-SC/ST candidates. Q.16. Whether the Government contemplates to draw a permanent mechanism to look into the anomalies that have crept into the whole procedure of issuance, verification and cancellation of SC/ST certificates and also for initiating disciplinary and penal action against holders/producers of the false caste certificates? Answer: The caste certificates are issued, verified and cancelled by the authorities of the respective State Governments. Each State Government has its own system/procedure in this regard. However, if it is found that a Government servant had produced a false caste certificate in order to secure appointment, action against him/her is required to be taken as per instructions contained in the Department of Personnel & Training’s 0.M.No.11012/7/91-Estt. (A) dated 19-5-93 which provides that wherever it is found that a Government servant, who was not qualified or eligible in terms of the recruitment rules etc. for initial recruitment in service or had furnished false information or produced a false certificate in order to secure appointment, he should not be retained in service. If he/she is a probationer or a temporary Government servant, he should be discharged or his services should be terminated. If he/she has become a permanent Govt. Servant, an inquiry as prescribed in Rule 14 of CCS (CCA) Rules, 1965 may be held and if the charges are proved, the Government servant should be removed or dismissed from service.